La Larr Ba Gauwa Park's mountain bike trails #01 to #05 are collectively referred to as 'the Northern Trails'. 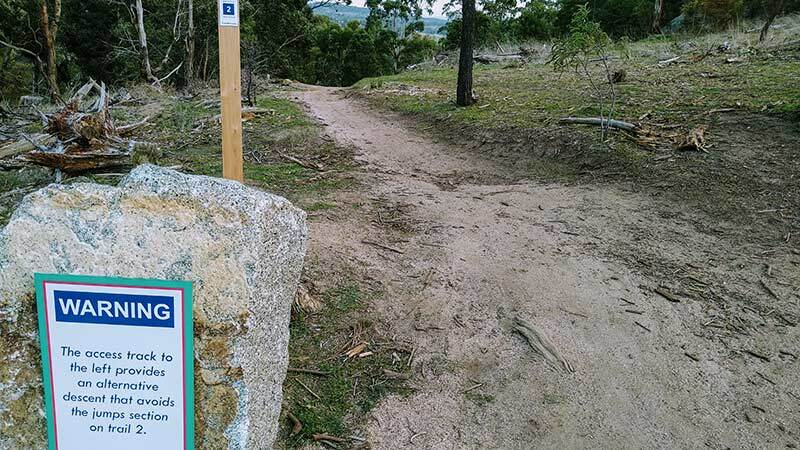 From the main trailhead, start on Wanyarra (#01): about half-way around, you can hop across to the more difficult Girra (#02) and head uphill to the Northern Hub. At the Northern Hub, catch your breath and take in stunning views. 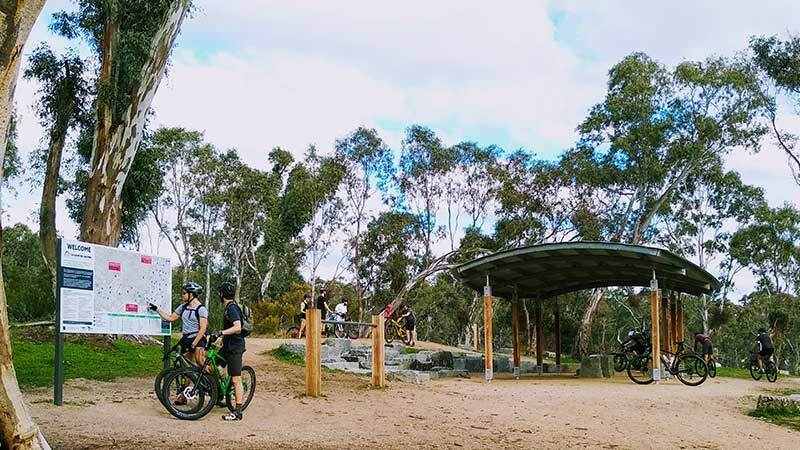 There's some basic infrastructure, as well as entry/exit points for three trickier trails: Wilkerr (#03), Murnong (#04) and Werpil (#05). There's also two ways to return via Girra: either avoid the jumps or go right over them.